The introduction to the purest form of diving. Learn proper breathing techniques, familiarize yourself with diaphragm breathing and take a deep breath like you never have before. The introduction to the purest form of diving. Learn proper breathing techniques, familiarize yourself with diaphragm breathing and take a deep breath like you never have before. 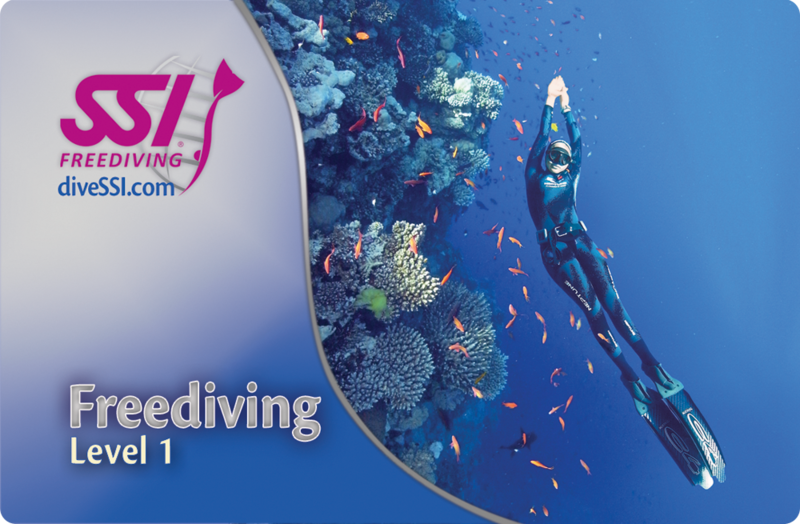 In the SSI level 1 Freediving course you acquire the proper skills and knowledge to participate in Freediving to depths of 60 ft. (20 meters) in the most relaxed and safest manner possible. You will develop the skills necessary to train your body to be more efficient with breath-holding, gain better respiration and muscle flexibility and learn new skills to take your Freediving to the next level. Freediving appropriate Mask, Snorkel, Snorkel Keeper, Fins, Rubber Weight Belt, and Hard Lead weights. 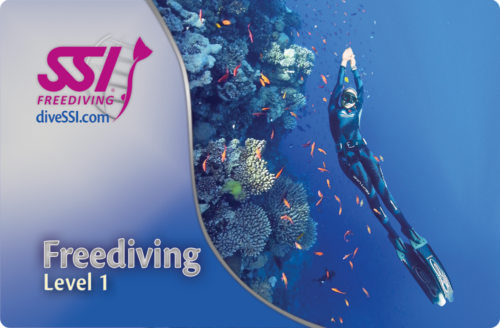 Exposure protection is also required, but does not have to be Freediving specific at this level. © 2019 Scuba Lessons, Dive Shop, Jacksonville and Orange Park FL. All Rights Reserved.